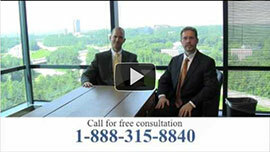 ← Is It Worth It to Hire a Personal Injury Lawyer? For many, the state of Georgia can be a boating enthusiast’s paradise. The state has numerous beautiful lakes, which are perfect for fishing, water sports, or simply relaxing during the summer. Lakes Allatoona, Lanier, Jackson, Blue Ridge, and Oconee, among many others, are a regular paradise for fishermen, boaters, and jet-skiers alike. However, if you’re a Georgia boating enthusiast, you should be aware of the inherent risks associated with recreational boating. Boating and jet-ski injuries are not uncommon, and if you’ve been injured in such an accident, you need the top boating injury lawyers in Georgia! You need the law firm of Link & Smith, P.C. In 2010, there were 4,604 recreational boating accidents. These accidents resulted in $35.5 million in property damage. There were 3,153 injuries related to recreational boating accidents. There were 672 fatalities as the result of boating injuries. 366 of these accidents were caused by boat defects, or boating equipment failure. Follow a pre-departure checklist. This includes everything from taking a life jacket inventory, to making sure you are complying with fire codes. Formulate a float plan. This means that you should let a friend, family member, or safety official know where you are going and how long you plan to be gone. In addition, provide contact information and information about your vessel. Always wear a life jacket! Most boating fatalities result from drowning. If you are taking to the water, make sure that you and your passengers are wearing life jackets. Avoid alcohol. Drinking and boating bears the exact same consequences as drinking and driving. If you are operating any motor vehicle under the influence, you become a danger to yourself and others. However, no matter how well you may prepare for an outing on the water, you are still at risk. In many boating accident cases, injuries are not the fault of the boater. Other boaters must also follow safety precautions. If their negligence has resulted in your injury, you may be entitled to monetary compensation from a personal injury claim. Our personal injury attorneys at Link & Smith P.C. are dedicated to helping injured persons receive the case results they deserve! We exclusively handle personal injury cases, and we have extensive experience with boating and jet-ski accident claims. In fact, we have over 40 years of combined experience in personal injury law. Our attorneys are veteran trial lawyers and they have helped our clients receive case results worth upwards of $40 million. We also work exclusively on a contingency basis, meaning that we get paid only when you receive the maximum monetary compensation for your injury. In addition to boating and jet-ski accidents, we also represent persons involved in auto accidents, motorcycle accidents, tractor-trailer accidents, and DUI victim representation. At Link & Smith P.C., we strongly believe that serious injuries deserve superior results! For a complimentary consultation with one of our attorneys, call our office at 404-315-8840. This entry was posted in Blog, Boating and Jet-Ski Accidents, Personal Injury Attorneys and tagged boating accident laywers, boating and jet-ski accident, georgia boating accident lawyers, personal injury attorneys. Bookmark the permalink.